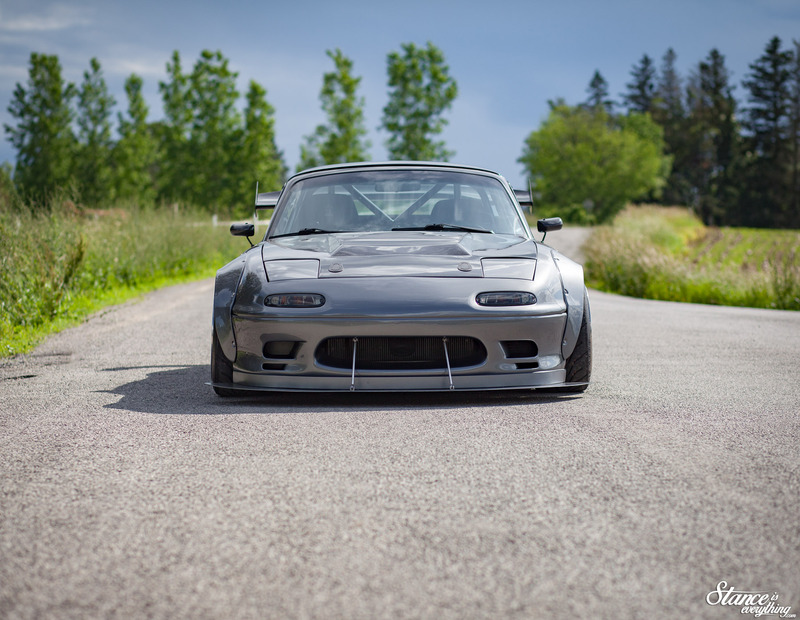 It seems cliché to say it, especially considering how often I say it when I post this car but, Brad’s LS3 powered Miata is one of the best built driven cars I’ve come across. Brad’s car also has the distinction of being one of the few cars I vividly remember seeing for the first time on instagram. After being tagged, and looking at the then raw engine bay, I was blown away that someone took a Miata engine bay that far. 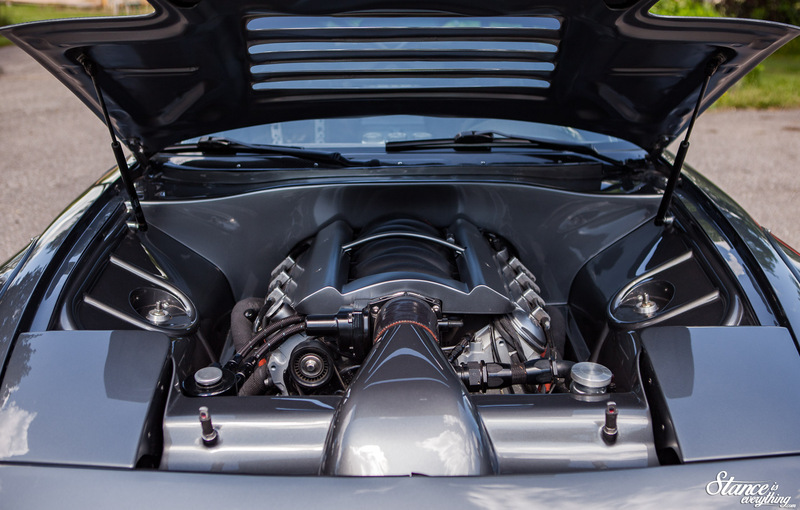 I stared at the photo in awe, wondering just how much work it took to make a swapped engine bay look so damn flawless. Much later that I found out that it took roughly three hindered and fifty hours, and the entire removal of the factory metal forward of the firewall to do what Brad did. 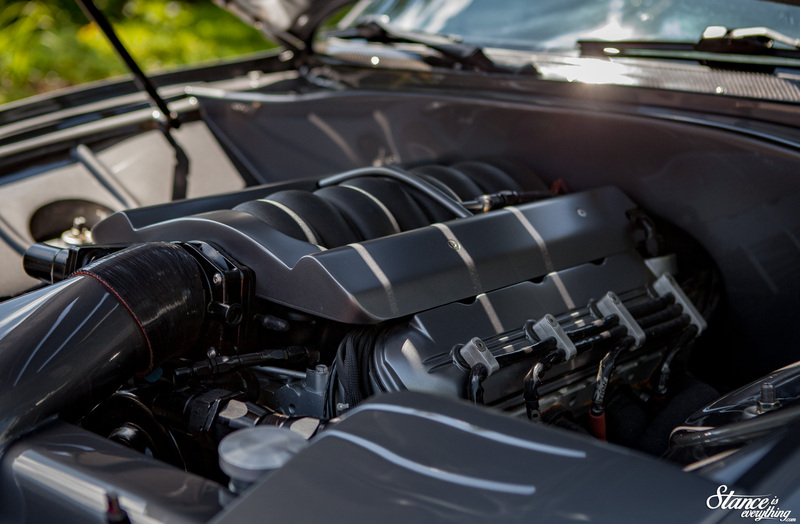 Brad’s ultimate goal for the car was to build something that he could drive, track, drift, and show, all in the same day and to that end he decided the best power plant for the car was the dependable Chevrolet LS V8. 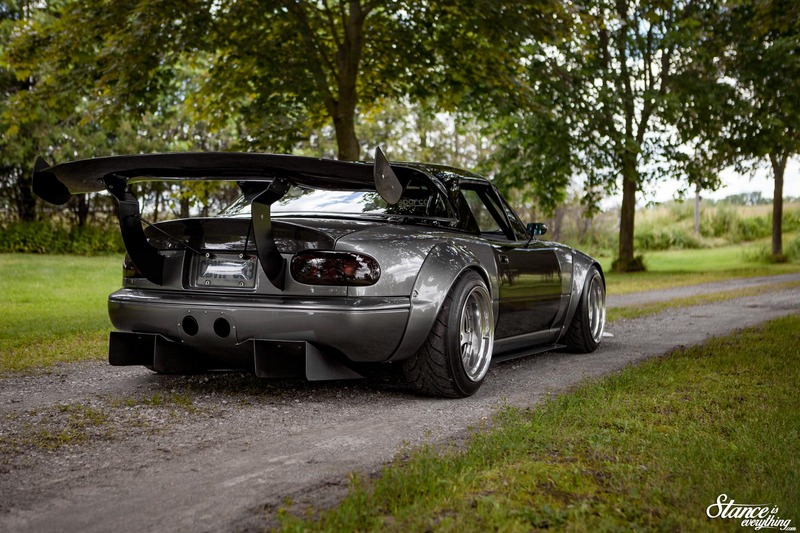 Though some are quick to do so calling this car “just another LS swapped Miata” is selling it extremely short. I’ve seen other LS swapped Miatas. Straight to the point ones, and ones built with presentation in mind, and none of them really compare to the engine bay Brad created or the entire car that follows behind it. This engine bay goes beyond, shaved, tucked, and cleaned up. It’s hand crafted metal art and looking at it as anything less than that is really sacrilegious. 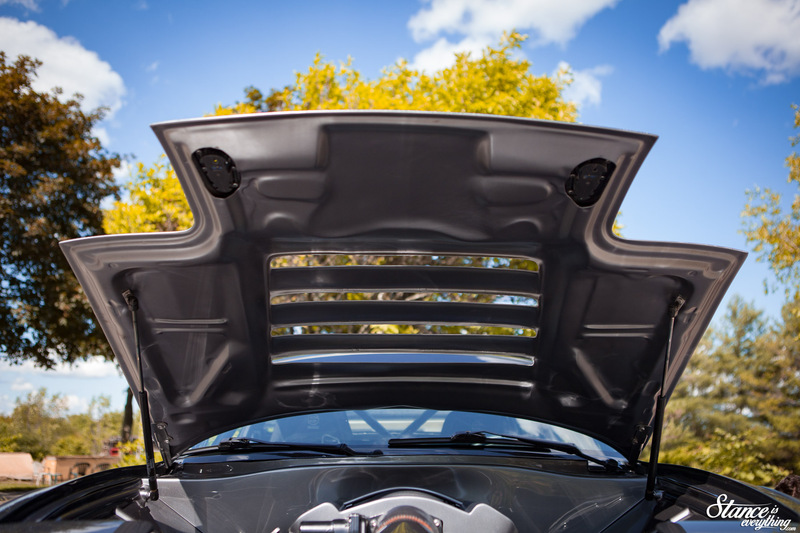 I’ve talked to Brad for at least a few minutes every time I’ve seen the car and each time he’s manged to show me some detail within the engine bay that I manged to overlook one the previous encounter. 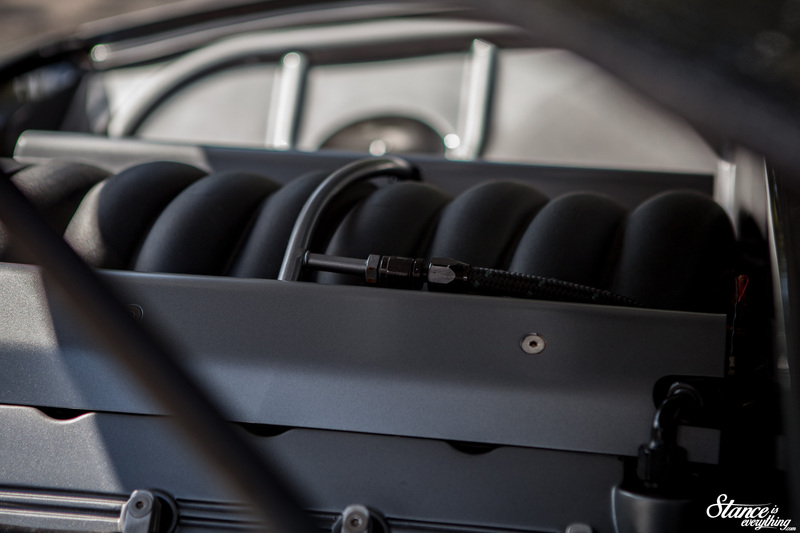 Things like the hidden hardware for the fenders and finished underside of the carbon fiber hood can easily go overlooked when you fixate on the shaved firewall, masterful tube work, and flawless paint work. It would be easy to assume Brad farmed out this build, and I am sure there are plenty that do assume that, but Brad did the lion’s share (outside of paint) himself. 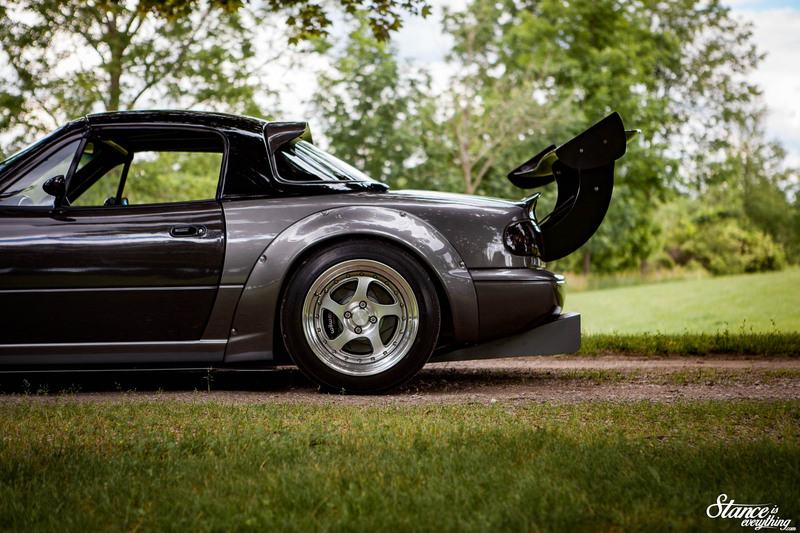 The son of a hot rod builder the apple didn’t fall far from the tree when it came to Brad and it only made sense in his mind to apply the level of detail he was accustom to towards his Miata. 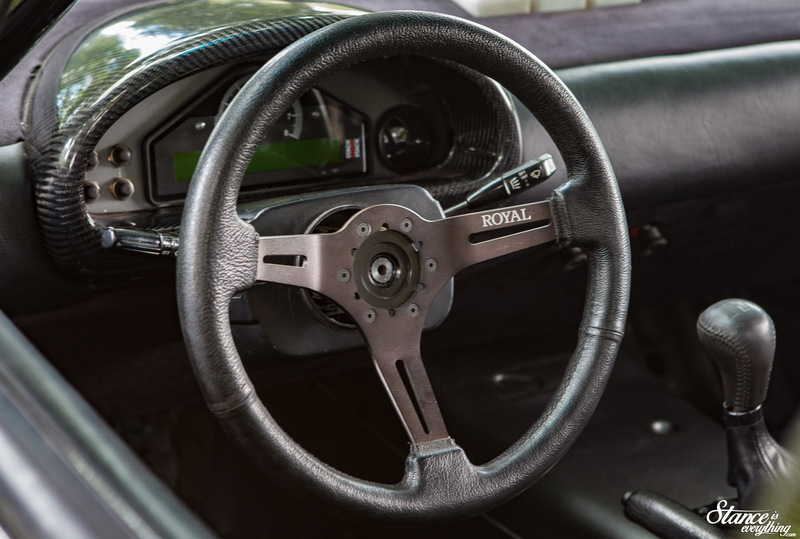 But, in the Ruiter family, cars are meant to be driven so the Miata was never going to be just a static show piece that never went over 4000 rpm. Driving the car as it is meant to be driven actually meant Brad needed to pull the LS3 at the end of last summer. A heavy right foot and a bright low oil pressure light are never a good combination, but Brad bounced back and rebuilt the motor with Mahle pistons, ported, polished, decked heads, a Howard cam and ARP hardware. 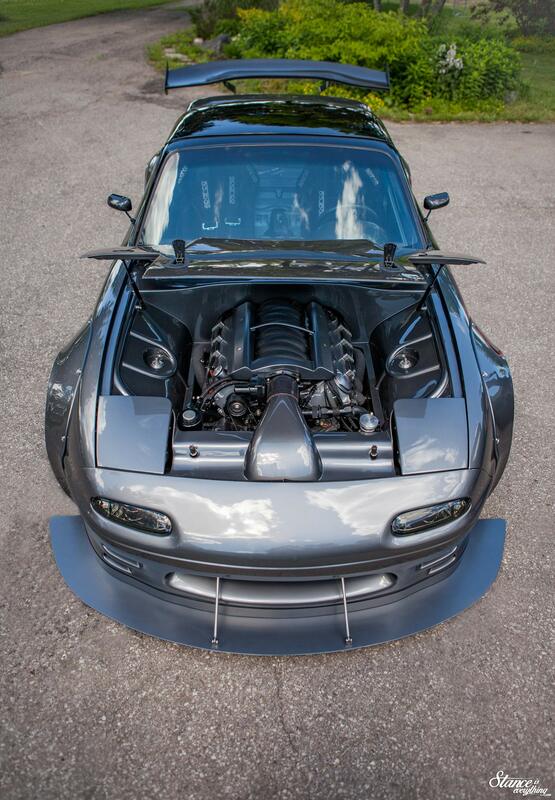 Mated to T56 transmission the motor is good for around 500 horsepower which is more than enough to have a lot of fun in a nimble Miata as evidenced below in a video from Clipping Point Media. 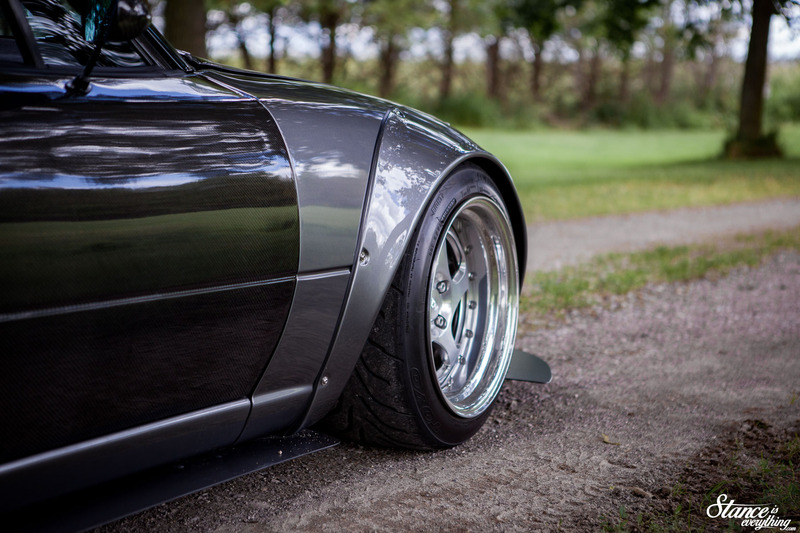 You’ve probably already noticed the aggressive aero package Brad has put together and further helping plant the car is a stout suspension set up made up of custom control arms, Kaiser Automation billet drop spindles and Megan coils. It’s also caged, got Sparco Sprint seats and an NRG quick release wheel. 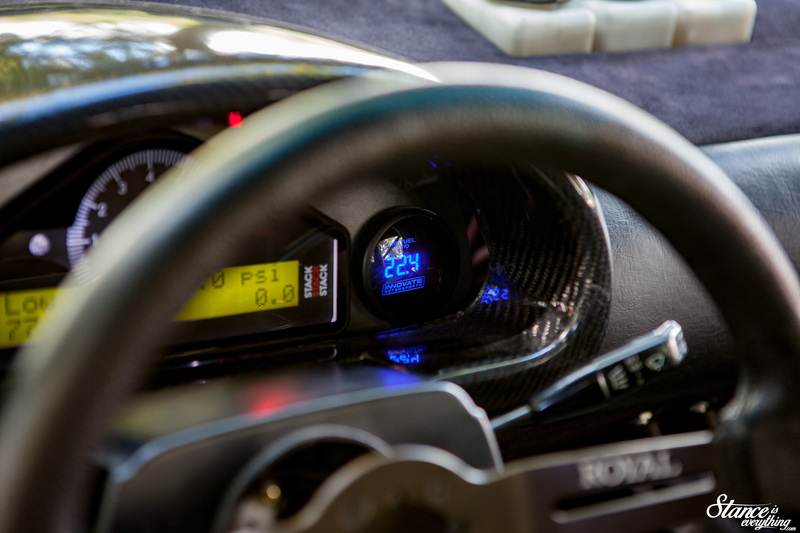 Inside the custom dash is a Stack cluster and the reservoirs for his Wilwood triple master that is mated to six and four piston calipers. Now running as it should, Brad’s enjoys driving the car when he can and roasting plenty of tires in the process. However he did mention that he may part with the car if someone comes along with the right offer. He’s not tired of it but, how’s that saying go? He’s got bigger fish he wants to fry. It was an honor to shoot such a well-built car for Speedhunters (the photos in this post are alternate shots from that shoot) and if you have not already, head over to Speedhunters.com and read my more in-depth feature of the car. I’ll end this post the same way I ended the one on Speedhunters, Brad, if yu are indeed going to build something crazier next do give me a call, I’d love to shoot it when it’s done! 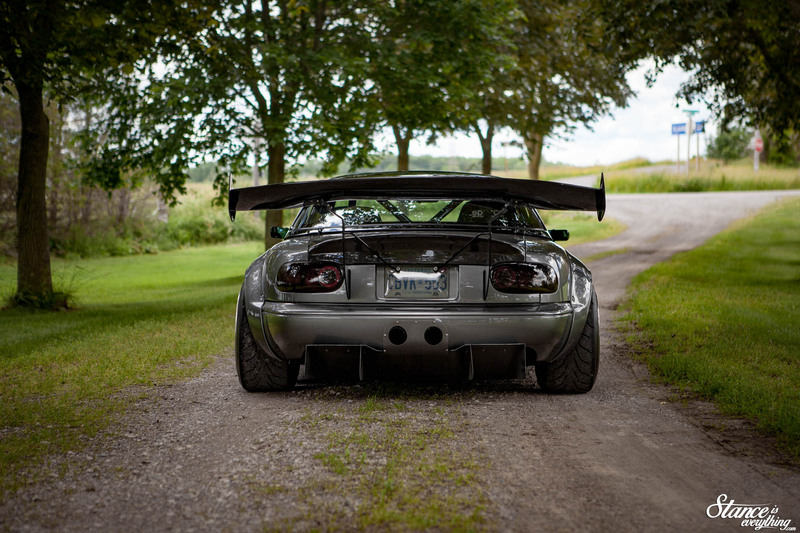 Awesome car, great photos, well written article and nice to see your work featured on speedhunters as well. Wow this car is sick! 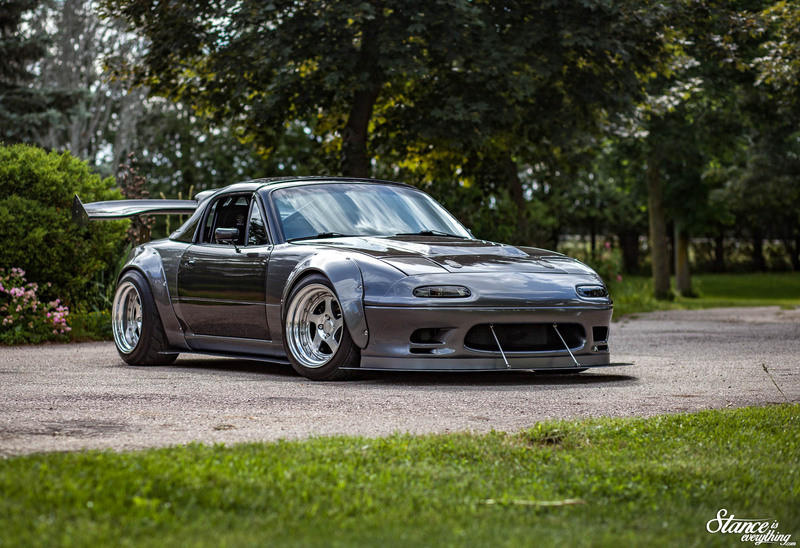 Would really love to own an LSx miata someday but maybe not as clean as this one.